Again, there are lots of guidelines about setting EQ. But don’t let this confuse you early on. Basically, this is a fancy way to change the tone of the signal. Knobs that are tied together in brackets work together. One determines the frequency range that will be affected and the other knob determines how much boost or cut will be applied to the selected frequency range. The first instinct is to turn everything up. Indeed this is quite natural but wrong. Test after test, many people will say one sound is better than the other even though the only real difference is the higher or louder volume level. If you think of boosting the frequency group with the EQ as if it were an amplifier turning the frequency group louder, this will help explain why we needed the extra head room when setting up the gain stage – you are making the signal louder when you add EQ boost. If everything is set and you boost a channel EQ, you can unintentionally overload the input level on the EX send for example, causing that signal to distort or clip when returning back to the mix. In this configuration there is a hi frequency group cut/boost knob. Then there are hi-mid frequency knob tied to a cut/boost knob and below another pair in the Low-mid frequency range. Underneath that is the low end group cut/boost knob. In essence, select the amount of cut or boost on the frequency groups (Hi – Lo) to shape sound so it reflects the source signal. For the paired knobs, select the frequency to be affected and using its pair cut or boost that particular frequency (as opposed to a larger group of frequencies for the Hi-LO knobs). Keeping in mind sometimes less is really more, rather than try to turn frequencies up or louder to make them sound better, try making them sound bad. Which frequencies interfere with the shape and tone of the instrument? Does a certain frequency make a nasty squawking sound when it is a bit louder? Try cutting that frequency a good amount. You might be able to turn the channel volume up after cutting signals and keep the level not necessarily louder over-all in the mix but in the correct group or place in the instrument/vocal mix. Listeners will be able to hear the instrument clearer and more distinctly if it closely resembles the real instrument’s group. So this gets pretty easy. Like a simple home stereo, turn the top know to clockwise to make the sound brighter by increasing the hi frequency group. Turn it counter-clockwise if it sounds harsh or brittle in the upper range. The paired knobs allow you to select specific frequencies within a group (Hi or Mid) and then cut or boost to shape the tone of the source and add flavor or reduce gremlins. For microphones that will be used by vocalists, this is an area where you can make a lot of difference because the vocalist signal is also being sent to the on-stage monitors. Sometimes they are really loud. And when that happens, the monitor is blaring the vocalist’s signal right back into the microphone on stage. This in turn goes quickly to the monitor and straight at the microphone again. Soon this will turn into a squeal in the range that is strongest or loudest. This is the classic example of a ‘feed-back loop‘. The knee-jerk reaction is to turn the channel volume down or turn the monitor sends down. The better way is to learn which frequency/frequency group is triggering the loop first. Use the paired EQ knobs to change the hi-mid or lo-mid frequency responsible for triggering the nasty loop. Successfully done, slowly turn the volume up a bit. Slowly increase volume (usually to the monitors, but will apply to the House Mains in some situations) until you start to hear a feed-back loop starting. Determine which frequency it is and turn it down in the mix. You want as much clear gain as you can to the performers. If you can only turn Monitor Send up to 5, let’s say or you get feedback, the performer might not be able to hear themselves over the amplified instruments and will be forced to scream louder and louder to get heard. If you pull down the offending frequencies you can turn the same signal to the Monitor Send to maybe 8 or so. Happy vocalist. Now that we are back to audio channels, see the examples below. Remember, that the channels run down from the TOP. In some mixing boards, there is a ‘pad‘ switch – it could be above or below the 1st gain knob – that can determine which input type will be monitored by that channel and it can also change the input level or signal strength. To reinforce the general definition below, if the audio source uses a battery or gets plugged into AC, it will need to be ‘padded‘ using this switch, where MOST microphone applications will not be strong enough if the channel is padded. 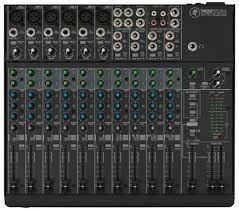 Whatever is plugged into the input jack on the mixer for that channel will send a signal to the 1st ‘gain stage‘. This acts more like a flood gate than an amplifier in that it allows you to reduce the strength of the signal coming into that channel. But it feels like an amplifier as when you turn it clock wise – it gets louder and if you turn it counter-clockwise – it gets softer or lower in volume…… This is the great balancer. This knob determines how much of the signal gets distributed or sent to other out puts, effects, processors and recording devices, etc. This is the foundation of the mix you are creating. We start here and do not continue with the other knobs and gizmos in the ‘channel strip‘ until this is set correctly. The biggest trick in setting this up for most band performances is – well – band members. A lot of them do not trust the sound guys they have worked with for a lot of reasons. Some performers will set their level (amp, energy, settings) really low during sound check, knowing once the sound is going they can turn themselves up so they can hear themselves. Most often, it is just difficult to play really hard and loud like you will during a full band live performance when no one else is making noise. Knowing all that, you need to start with a good level here so you can set the gain stage properly. Generally, open microphones will need more gain than instruments like keyboards or mp3 players. Things that get plugged into AC or use a battery will probably have a stronger signal strength than those that go directly to the snake/mixing board. As a caution again, make sure the amplifiers are turned all the way down before you plug anything into the mixer once the full system is connected. We tested the House PA and Stage monitors before the band got here, so before you start plugging in instruments and performers, turn the House PA amplifiers down. I also turn the Monitor Sends down all the way so you do not hit the monitors with some pretty ugly sounds. If you use fantom power for your microphones or other devices, I have heard people suggest you do the same whenever turning this function ON or OFF. Now we are ready to move through the rest of the channel. 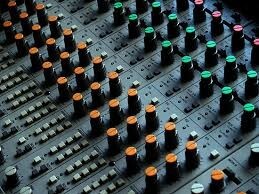 I am old school, and I like to start with the mixing board ‘clean’. With all knobs and gizmos set to center or neutral. Some guys like to start off where they left or pre-mix, but I have seen many situations where that theory gets yanked. Above board design has the +48 fantom power switch. When pressed in it will send appropriate voltage to the microphone or device. Best to have Master faders turned down during this part as well. Underneath is the pad/Line switch. This you can safely determine a good guess in advance depending on what type of instrument is plugged into that channel. You can always start with pad pressed in and gain stage at minimum to be on the cautious side and then release pad and turn gain knob as you watch the signal LED’s. Get good performing signal as opposed to good practice level and see where the gain stage knob is pointing. Try to get signal meters and LED’s close to the red or overload stage, and then back off the gain stage knob just a little. We may need the extra head room when we add EQ, use ‘inserts‘ etc. This board and many others offer a HPF (‘High Pass Filter‘). When depressed it will allow mid and high frequencies to go through the channel and process normally. So, it really cuts or turns down the really low end signals. This is where the frequencies and ranges of instruments in an earlier LSR series come into play. Instruments like, flutes, acoustic guitars, vocalists, cymbals, snares cannot make sounds in the low end. The over-all mix will benefit if you use the HPF and cut the very low frequencies on those instruments. Microphone stand rumble, bleed over from the kick drum into the snare along with a number of other unwanted sounds can be eliminated before they even get into the mix. Next series we will continue down the signal path. Live Sound Reinforcement Series Chapter 11 – What is a Channel? This probably won’t be the last time I will mention that I like to teach things that I have learned over the years. But I also like to learn. I did OK in school, but nothing really interested me, so I just made it through. At the right time in my life, I found music. From my parents, TV, brothers and back then AM radio, I absorbed all the songs I could. Back then they did not pre-package and filter music in the same way they do now, You could hear unique styles and among the commercial sounding and cookie-cutter pop tunes there were really talented songwriters and performers. Recordings were also hit and miss, with wide varieties of textures. We were still waiting for “stereo” to come out. Fun times! I have not worked with national major players and unless you hang out in my town, you probably do not know the names of the bands, writers and performers I have been blessed to know. I wish you did. Then there is the group that THINK they have all the answers but never get things to work or things sound bad and get worse as the evening goes on. I do not think another series about which knob you should turn, which special new box you should buy, which new instrument will get you to the next level, or which processor do you add to a particular instrument is going to add to what is already out there. I would like to give you a feel of options and let you figure out on your own why ‘it doesn’t work’ or if ‘it sounds bad and gets worse’. 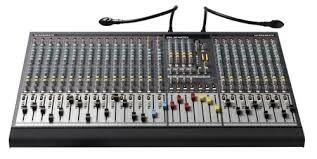 As described in earlier my LSR series, a number of live sound tragedies could be avoided if the sound engineer understood the challenge from both points of view. Too many sound men and women mix to the House. It is extremely important to mix for the Stage as much as the House. More on that later. Once you know why it is not working or not sounding as good as you want, you will be able to fix or improve the mix much quicker. There are tricks that will help there as well. I picked up a few from here and there, started writing songs with my older brother, bought a 4 track reel-to-reel and a couple Radio Shack microphones (that were great and I still have one in my mic case!!). After that of course we needed guitars, drums, organ, and I am still living at home. I had to figure out how to get them all to work together because back then I was the ONLY person I knew that had anything like recording equipment. Necessity is the Mother of Invention and I kept going until I figured it out. Once friends and their friends knew I could figure their stuff out, I got to know a lot of musicians. Then I got into sales. One thing leads to another. 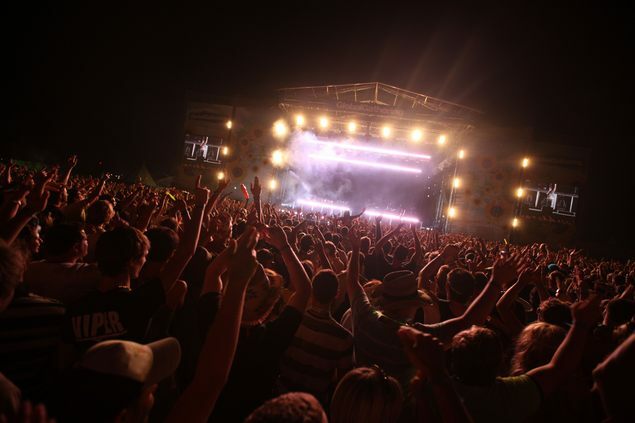 Setting up the sound gear for a live gig, the beginning part before you even plug in the equipment, creates the foundation you will need to have a problem free event. IF we understand what the foundation is there to do, the building or pyramid can get as tall as you want, and you will not have to worry about it crashing down on everyone around you. Here is where we need to focus or channel in on the foundation itself and the ways to build a strong audio reinforcement base. This is why I truly believe if I can learn it, so can you. Next series we will talk about the other type of audio channel.